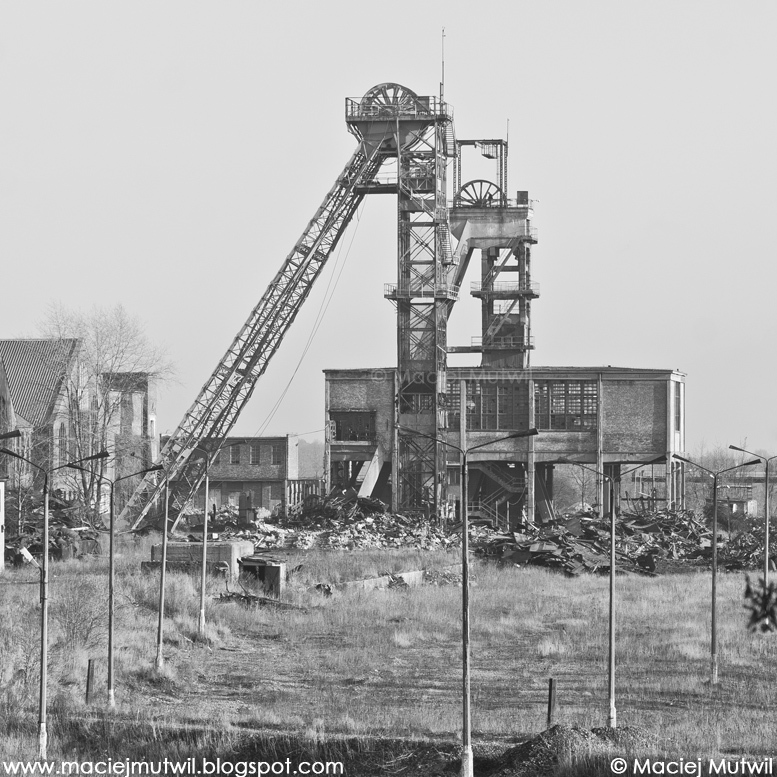 Today I went to see how much of colliery Andaluzja was demolished since spring. You can see that one headframe (Sienkiewicz is his name) is almost ready to demolish - ropes hangs from it and soon it will be knock down. I will go there next week probably. Behind stands headframe Zeromski - whole headframe is made with concrete, not only with steel. 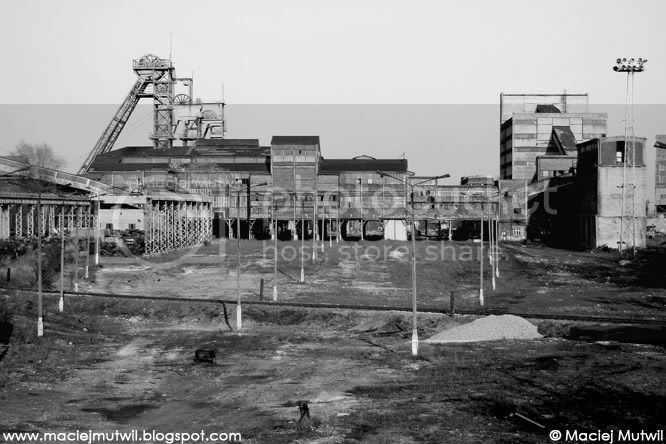 Below you can compare how colliery was looking like in 2009 spring.